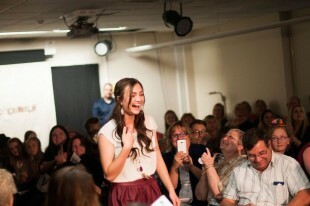 The Salt Lake Community College Fashion Club put on their eighth annual “Project Catwalk” April 22 at Library Square. The fashion show provides a venue for Utah high school juniors and seniors to showcase their creativity and see their designs on the runway. A “modern eclectic” theme was chosen for this year’s event. 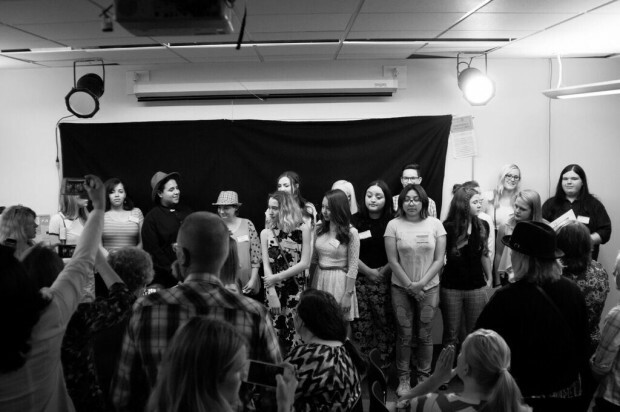 In addition to the fashion show, the high school students toured the campus, attended workshops with SLCC Fashion Institute faculty and students, and participated in a panel discussion with local entrepreneurs and fashion designers. 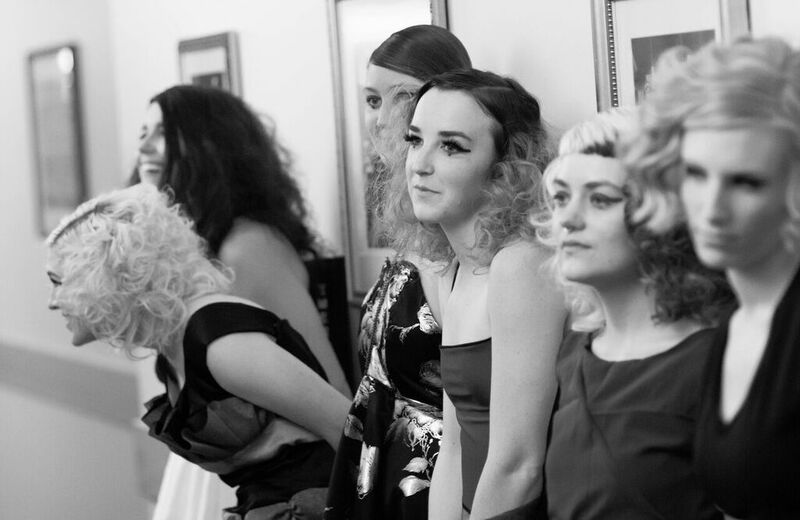 The contestants, along with their families and peers, gathered together to watch their designs in action on the catwalk. Nearly two dozen models strutted up and down the aisles, displaying a wide range of creative and beautifully designed pieces. The judges and audience alike were incredibly impressed with the work of these young designers — so impressed, in fact, that four winners were announced, instead of the traditional three. Riley Reynolds from Milford High School won first place with an ‘out of this world’ design. Albamarina Frica from Provo High School earned second place, Juan Montoya from Cyprus High School won third place and Chase Gray from Davis High School finished fourth. All of the students who entered designs participated in a prize raffle that included gift cards, sewing supplies and tickets to the upcoming “FIORE” fashion show. The panel discussion took place before the fashion show and featured Valerie Best, owner of Sew Trendy Accessories; Betsy Barker, owner of Betsy Couture; Jan McGrew and Hraefn Wulfson, owner and co-owner of McGrew Studios; and Spencer Daley, owner of Daley’s clothing. Students were able to ask questions and get inside information about life as a fashion designer — the good, the bad and the ugly. Valerie Best agreed with Wulfson. The panel helped Logan High School student Emily Jim as she plans her future in the fashion industry. Ben Anderson, another Logan High student, gained a new perspective about fashion. “People usually don’t think about clothing when they think about art, but that’s exactly what it is — another form of expression,” he said. A model wears the winning design by Riley Reynolds during the “Project Catwalk” fashion show April 22 at Library Square. A model wears the second-place design by Albamarina Frica during the “Project Catwalk” fashion show April 22 at Library Square. A model wears the third-place design by Juan Montoya during the “Project Catwalk” fashion show April 22 at Library Square. A model wears the fourth-place design by Chase Gray during the “Project Catwalk” fashion show April 22 at Library Square.